Praise versus Encouragement and Good-bye, Good-girl! “Of course you do, Sweetheart!” I said quickly, not noticing her most recent handiwork. 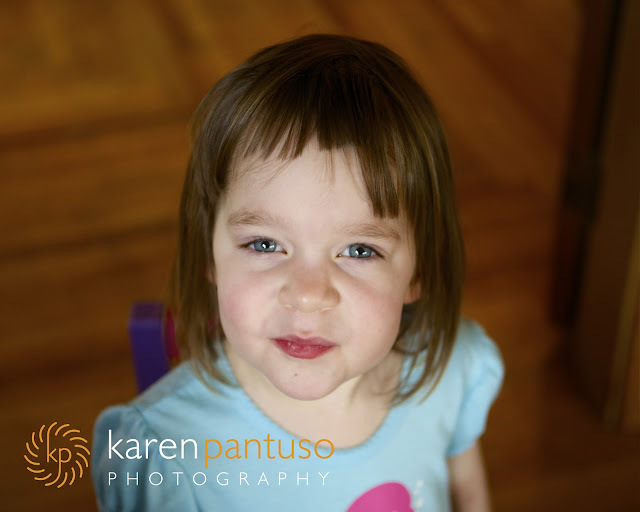 “I cut my bangs without cutting my forehead!” she exclaimed proudly. I followed her into the living-room where her big sister was making a craft. There on the table, lay a few rather long locks of Sophie’s hair, and a pair of kid’s scissors. 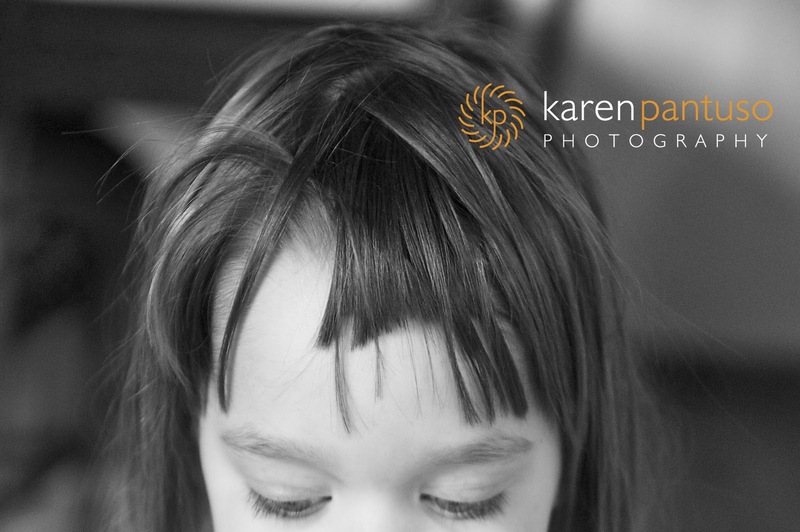 “Now her bangs won’t get in her eyes,” her big sister said helpfully. I could hear my sister-in-law giggling on the phone, so I told her that it was all her fault, then hung up to investigate the damage. 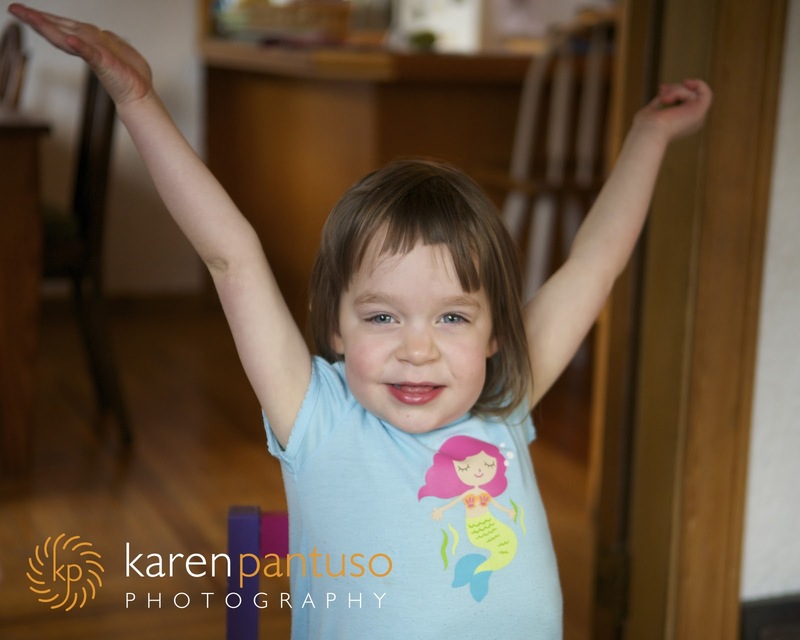 The bangs were a mess, but Sophie was jubilant. In her eyes, she had accomplished something monumental. She’s been really interested in making crafts lately, and her scissor skills have improved tremendously in the past few weeks. Tackling a new medium, like hair, without causing injury to herself was indeed praiseworthy. I’m rather proud of my reaction. Instead of unleashing a horrified, “What have you done to your hair?? ?”… I focused on the safety aspect of the trim. 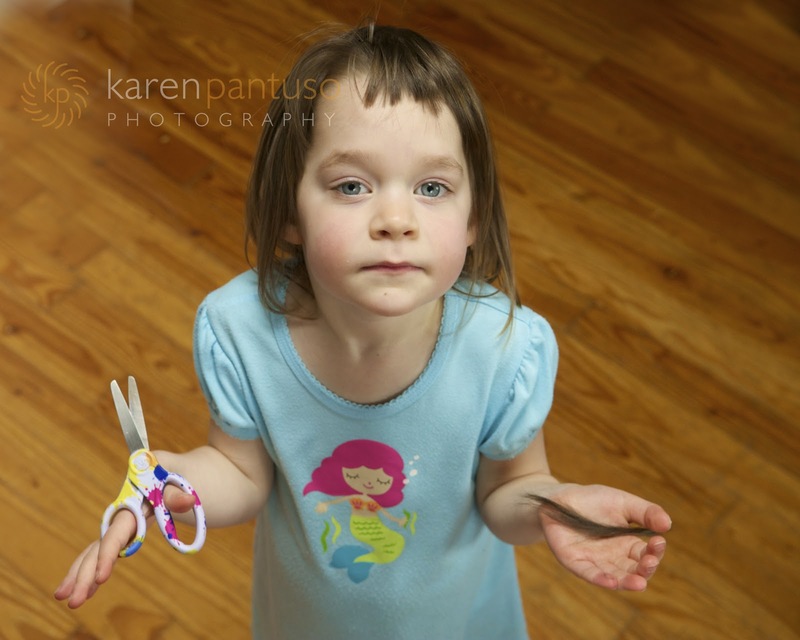 I told Sophie that I was impressed with her new haircut, but that it had been very dangerous to have the scissors so close to her eyes and she was NEVER to do it again. This morning, it was time to document the new bangs. I pulled out my camera while Sophie and Stella were having breakfast at their little table. 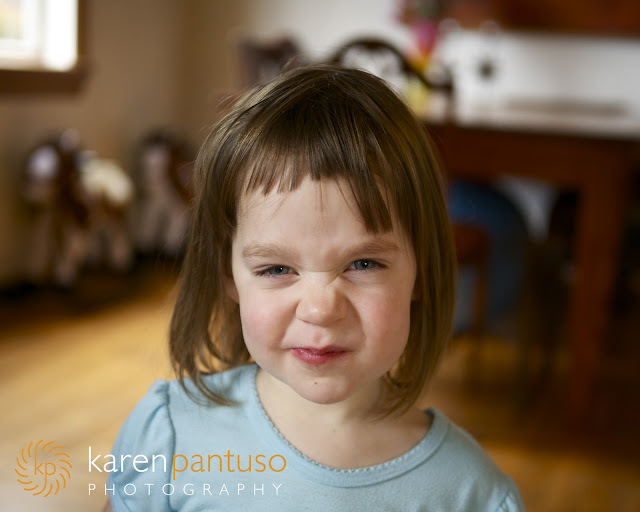 I asked Sophie what my face looked like when I first saw her new haircut. Oops. And I thought I’d masked my true feelings. This shot, I admit, was staged. This past summer, I went back through all of the posts I’d ever written, selected my favourites, edited them, and put them together in chapter book format. I had them bound through an online publisher and may even send a few copies around to publishers, or I may just keep them for my daughters. Regardless of where they end up, creating these books was a wonderful way to celebrate a year’s worth of Grateful Mama writings. I’m so happy and proud to have created something that others have enjoyed. Thank you so much for reading. I’ll leave you with a photo I took recently of Pip, witnessing her first rainbow. You can’t really tell from this shot, but it was a double rainbow; one for each daughter. Hello friends! Summer goodness has prevented me from getting an entry posted this week! The next month promises to be just as busy, so I’m going to take an August Writing Break. I’ll be back the first Monday in September with a nice juicy post for you! I hope you all enjoy the rest of the summer and I thank you for your continued readership. “I wished that there wouldn’t be any more crying today.” Truly, I did. Fig looked disappointed. “Do you think I’ll get my wish?” I asked her. You know you’ve hit the jackpot when you enjoy your work and your colleagues become some of your dearest friends. Before I moved back to Vancouver Island six years ago, I was teaching at a school in West Vancouver, forming friendships with co-workers that will certainly last a lifetime. Five of these women brought their families to the Island for a camping holiday, so my sister and I packed up our kids and visited them at their campsite, about thirty minutes outside of town. The four hours we spent together felt thirty minutes, and I’m now lamenting the fact that we didn’t pitch a tent right alongside them for the night. I miss them. I’m experiencing the same phenomenon that my sister used to feel whenever I’d come home for a visit after being away at University. She always cried more when I returned home than when I left, because when she saw me again, she realized how much she had missed me. (At least that’s her story!) I feel the same way about these women. I was in their company mere hours ago, but I miss them more than I have all year! We borrowed a fascinating ‘lift-the-flap’ book about sea creatures from the public library. One page illustrated how some predatory fish use light to attract their prey. A rather intimidating and toothy fish with a light atop his head was shown eating a smaller fish; this little guy had obviously been sucked in by the intriguing fish-head-lamp. Who could blame him? I’d certainly be curious. Under the flap were the words, “Bad luck, Fish!” Indeed. Our family eats a lot of fish. I’m a pescatarian, which means I eat seafood, but no other type of meat. After a week of enjoying our ‘Sea Creatures’ book, my four-year-old daughter, Pip, started saying, “Bad luck, Fish!” whenever her fork dove into a piece of salmon at the dinner table. My husband, (who enjoys meat of all varieties,) and I have agreed to let our daughters choose whether or not they will eat meat. I don’t try to persuade the girls to be pescatarians, but I am honest with them about the source of their food. “Bad luck, Chicken!” and, with a slight grin, she popped the morsel into her mouth. It came as no surprise, therefore, when both of my daughters wanted to watch their dad clean salmon in the backyard. They were intrigued to say the least. I took my camera outside to capture the girls’ fascination with the deceased fish. They touched eyeballs and fins, and ran their little hands upon gleaming silver scales. As was expected, Pip uttered, “Bad luck, Fish!” more than once during the fish-cleaning extravaganza. Before heading back inside to start the marinade, I offered a cautionary, “Don’t stand too close to Daddy when he’s cutting the fish!” to my daughters, (and my husband.) Was my advice heeded? Let me tell you, my poor heart skipped a beat when Pip and her dad appeared at the back door with Pip’s neck and dress completely covered in fish-blood. For an instant, I was reminded of that horrific scene in ‘Carrie’ when Sissy Spacek is standing onstage at her graduation, covered in pig’s blood. You know the one. After I cleaned Pip, she and her sister joined me in the kitchen to finish preparing the rest of our dinner. I hoisted both girls onto the counter after we’d all washed our hands. First, the girls helped me finish the marinade, measuring the brown sugar and plopping it into our mixture of soy sauce and olive oil. They stirred it and splattered the marinade all over themselves and the counter. Next came the grated ginger. I did the grating and the girls picked up the flakes and put them into the bowl. After I’d poured the marinade onto the fish, it was time to prepare the rice and vegetables. I pulled out the steamer and filled it with water. Pip and Fig assisted with every part of the dinner preparation, from rinsing the rice to placing the carrots into the steamer tray. Yes, it took a lot longer to prepare the meal than it would have if I was cooking by myself, and yes, the kitchen counter was a lot messier after my daughters had vacated it, but seeing the look of satisfaction in their eyes as we complimented them on the meal was worth the extra time and effort. “Wow. Girls, this fish is delicious! Did you ever do a nice job of the marinade!” my husband gushed. “We helped Mama with everything, Dad,” Pip explained with pride. These are the formative years. Our children are developing attitudes toward things that they will carry through the rest of their lives. If we can give them a knowledge and respect for where their food comes from, and if we can provide them with positive experiences preparing nutritious food, serving it with pride and enjoying it with others, they will be empowered to make healthy food choices and create positive eating habits for the rest of their lives. My six-year-old niece overheard me telling her mom that I was feeling a bit melancholy. “Well, Auntie Karen, we don’t have any melons in our garden, but we are growing cauliflower. You could have some of that.” It took me a second, but I figured out that she thought I had a hankering for a ‘melon-cauli’ combo. Sweet. The reason for my blues? My husband is going to be away for almost three weeks. I realize that it may not sound like a very long time; some partnerships deal with much longer periods of separation, but it all depends on what you’ve grown accustomed to. And I’ve grown accustomed to my husband. It seemed like a good idea six months ago, when we made the decision for him to go away and earn some extra money, but now I feel a slight queasiness when I think of his upcoming departure. The girls and I will manage just fine, and we have lots of family support; but we’ll miss him. I’m reminded of visits with my grandparents each summer when I was a kid. Sometimes I’d go to Winnipeg to visit them, but often they would drive out to the coast for a couple of weeks to visit our family. If it was a banner year, they’d come to the Island, then I’d drive back to the prairies with them. I loved being in their company. We’d play a lot of cards, go swimming together in oceans and lakes, and share many laughs. The energy in our home always felt so different after my grandparents had left, and I used to marvel at how quickly a new norm had been established. There was a tangible emptiness, even though all of the usual suspects still resided in our home. I think I’ve always preferred to be the Leaver, as opposed to the one Being Left. Leaving is tough too, but at least you’re moving on to a new situation. Whenever I was gearing up for a move away from my family, the days leading up to my departure would be filled with emotion, but once I had said my tearful good-byes, my mind was focused on the adventures that lay ahead. 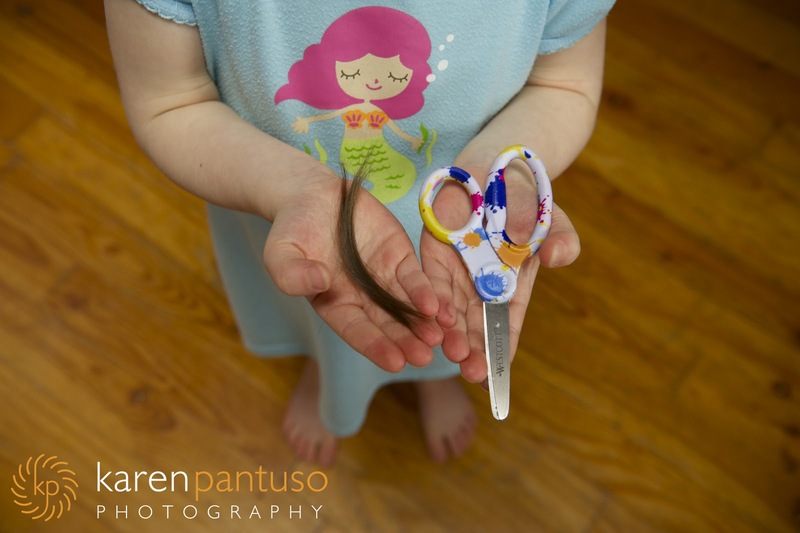 One of my all-time favourite Shakespearean lines comes from Romeo and Juliet, “Parting is such sweet sorrow.” (I think I’ve referred to it before in a post about leaving my daughters.) The sorrow is sweet because the love is strong. I’ve only known my husband for seven years, and, in a relatively short time, we’ve become a family. I depend on him. I do take comfort in the knowledge that I was fiercely independent for many, many years. I know that I am a strong, capable woman who can handle life on her own if need be, but I do appreciate leaning on someone, and having them lean on me. It has taken me awhile to surrender to this new place, but it feels good. And safe. Speaking of favourite lines, this second one is borrowed from Big Yellow Taxi by Joni Mitchell: “Don’t it always seem to go, that you don’t know what you’ve got till it’s gone?” Well, yes, it does always seem to go that way, but every once in awhile, we catch a glimpse of what life would be like without something, or someone, and it makes us all the more appreciative for what we have. It’s a gift, wrapped up in a little bit of heartache. Pip and Fig were colouring at the dining room table while I was in the bathroom brushing my teeth. Even with the electric toothbrush going, I could hear a faint, unidentifiable clicking noise. I turned the toothbrush off to listen. “Click, click, pause, click.” It was a foreign sound; possibly something dropping on the wood floor. I interrupted my bathroom routine to investigate. As I turned the corner toward our dining room, I saw the back of Pip, happily colouring at the table, and Fig, happily dropping crayons, one by one, onto the floor. The girls were unaware of my presence, so I just stood for a moment and observed. I was very curious about Fig’s behaviour. She wasn’t dropping the crayons to be naughty. 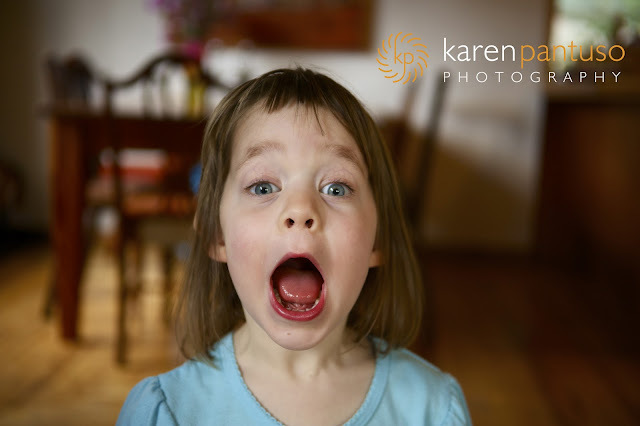 Nobody had ever laid down a rule stating, ‘Whatever you do; don’t drop the crayons on the floor!” She wasn’t looking for a reaction from her sister. (Pip was so involved in her art that she didn’t seem to notice Fig’s activity.) Fig was simply enjoying the act of crayon-dropping. It was interesting to see how Fig responded to each crayon-drop. She would hold the crayon in the air, release it, study its’ descent, then examine its’ placement on the floor. Was she learning something about gravity? Did she like the sound the crayons made as they made contact with the wood? Did she see the crayons on the floor as an artistic masterpiece? I’m not sure what motivated her to drop the crayons, but she clearly found it fascinating. I tiptoed back into the bathroom. It was one of those glorious mornings when we weren’t in a rush to get anywhere or do anything. We had the luxury of time. I could ask Fig to clean up the crayons after she was finished with her experiment. It wasn’t necessary for me to interrupt at that moment. Perspective is a powerful thing. I recently had the good fortune of meeting Matthew Hooton. He’s the former Highland grad who wrote a brilliant debut novel called, Deloume Road. My book club read his book and invited him to attend our meeting, which he did. Matthew narrated Deloume Road from about a dozen different perspectives; and he managed to make me feel empathetic toward every single character. That’s what perspective does for us; it enables us to feel what others are feeling. Our children give us the gift of their perspective all the time; we get to see butterflies for the first time, witness a rainbow through their eyes, experience the joy of running through a sprinkler again, but we sometimes forget to jump into their shoes when their behaviour challenges us. I certainly don’t always take the time to see things from my daughters’ perspectives; some days are tougher than others and it’s a struggle to make it through to bedtime! But when I DO have the presence of mind, (and the patience,) to slow down and consider how my children are viewing the world at any given moment, it always pays off. When Fig had finished playing with the crayons, I simply asked her to put them back into the container, and she did! Pip had chosen to do some ‘rip art’ in the living room the other day. Her process was to take different colours of construction paper, rip it up and lay it on the carpet in interesting ways. Fair enough. It looked like a lot of fun, and, who knows, she could be the next Jackson Pollock. (I wonder if he splattered as a child.) I had no problem with the ripped paper that covered the living room, but when PIp decided to move on to some horse play, (literally,) she left the scattered papers behind.